Ada pertanyaan untuk Holiday Fashion Inn? Terletak strategis di Negombo, Holiday Fashion Inn adalah tempat yang luar biasa untuk memulai penelurusan kota yang aktif ini. Properti ini terletak 2 Km dari pusat kota dan menyediakan akses mudah ke fasilitas-fasilitas penting kota ini. Untuk menuju berbagai pilihan lokasi jalan-jalan dan obyek wisata setempat, Anda tidak perlu pergi jauh-jauh karena properti ini terletak dekat dengan Bluemoon Jewellers, Selyn, The Touch Boutique. Setiap upaya dilakukan untuk membuat tamu merasa nyaman. Dalam hal ini, properti menyediakan pelayanan dan fasilitas yang terbaik. 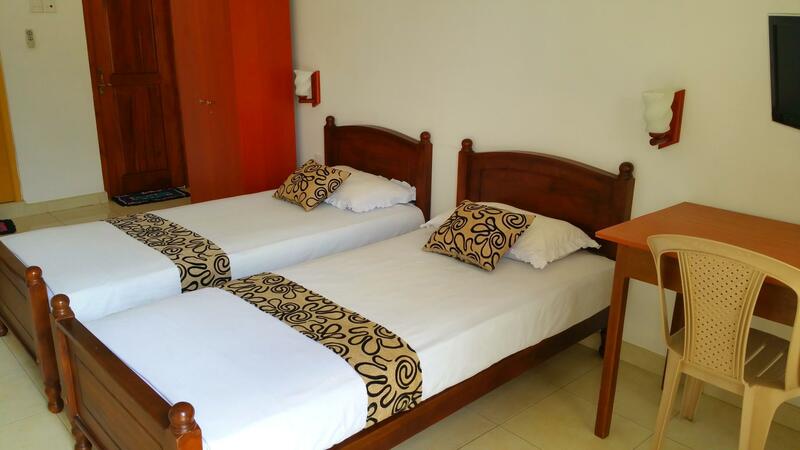 Layanan kamar 24 jam, WiFi gratis di semua kamar, satpam 24 jam, perapian, check-in/check-out pribadi merupakan fasilitas yang tersedia untuk memberikan kenyamanan kepada para tamu. 8 kamar yang tersebar di 2 lantai memberikan suasana hangat dan menyenangkan ketika Anda jauh dari rumah. Kenyamanan seperti televisi layar datar, rak pakaian, linen, cermin, pintu masuk pribadi dapat di temukan di beberapa kamar tertentu. Bagi Anda yang menyukai aktivitas kebugaran atau hanya ingin bersantai setelah beraktivitas sepanjang hari, Anda akan dihibur dengan fasilitas rekreasi kelas atas seperti taman. Dengan lokasi dan fasilitas idealnya, Holiday Fashion Inn dapat memenuhi berbagai macam hal. 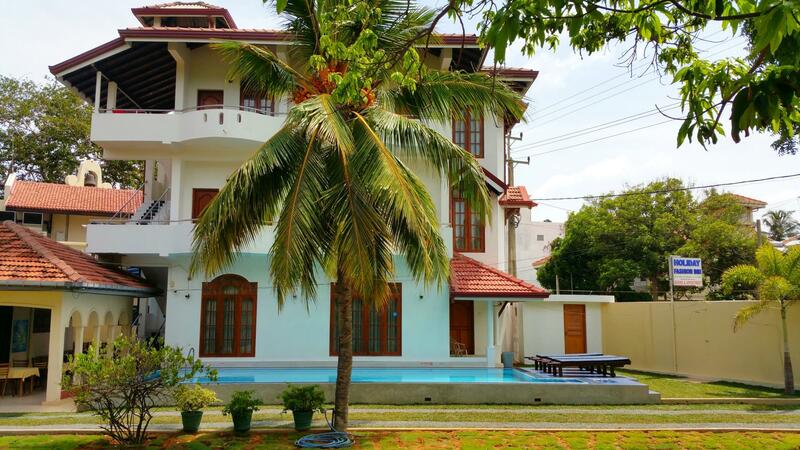 Lovely friendly people, comfy bed, clean room, delicious breakfast, excellent pool & grounds to relax in during the hot afternoon. Highly recommended. The standard A/C room I stayed in did not match the descriptions on Agoda completely. There were no kitchenette and no hair dryer for example. There was a big fridge, though, and the room was quite clean. Air-condition worked well. It was a pleasant stay anyway. My stay was a good one. 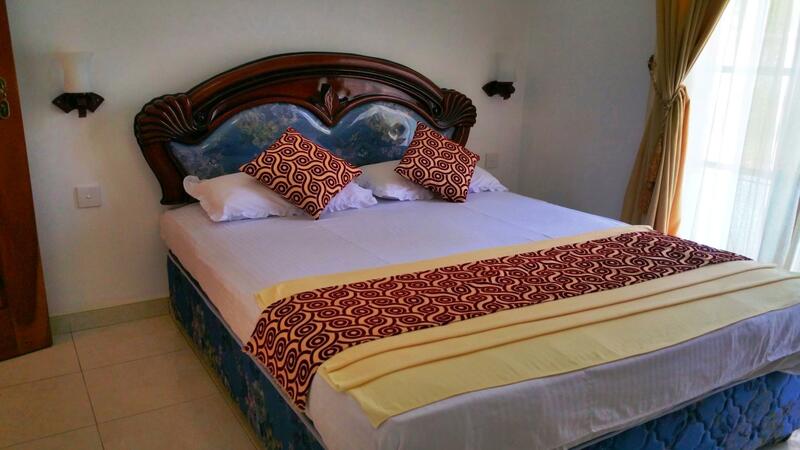 The owners are very friendly and the rooms are spacious. My one big problem was the internet that I couldn't get on the second floor. I could go down to the reception area and get a signal there but I like to work in my room. Therefore this hotel is very basic with a good breakfast and fine for an overnight stay. The owners are friendly and helpfull. If you want a longer stay 3 days or more then I would suggest an hotel with more amenities. Only stayed 2 nights prior to departure from the airport. 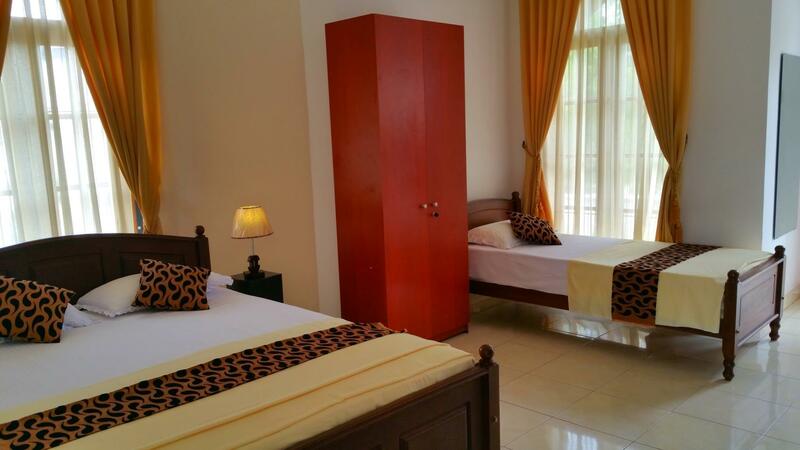 Very nice clean room, tne family live on site and obviously take great pride in the rooms and facilities. Had a really nice breakfast, too much to eat. We had to leave at 5 am the following morning and the lady owner offered to make us breakfast, we declined as it was too early. They ran us to tne airport for 10 dollars. Slightly out of town but only a 5 minute walk. Highly recommended especially if you need to be near the airport. Given the low price that we'd paid, we really couldn't complain much. We arrived in Colombo late at night and only needed a place to crash before our early morning start to Dambulla the next day. The room is basic but seemed clean. However, I would not have picked this place if I had to stay there for more than 1 day. Stayed 3 nights, wish we could have stayed longer. Charming family run operation. Very helpful with details and questions. Spacious room was very clean. Breakfast changes each morning and is always good, cooked in the family kitchen. Nice quite location a short walk or 100 rupees tuk-tuk ride from town, restaurants and the beach. Highly recommend. It's just next to the beach, u can go for a short walk, although the beach is not very clean. Breakfast is very good, in amount, worth try. 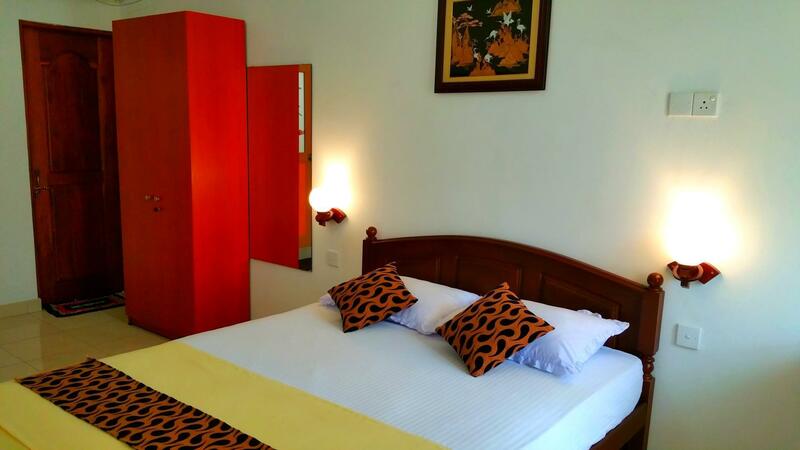 The room is very clean and provide with hot water, TV shows & free wifi. It's about 20mins to the airport by tutu and mrs owner can call a tutu for u on local price. It's a good choice to stay on the first or last night in Sri Lanka. There'r many interesting shops on the main road for gifts. The room is quite clean and a breand new a/c is working perfectly. There are a TV, a fridge and a small kichen in the room. The owner of the hotel is very friendly and honest. She served a typical Sri lanka breakfast with tea and fruit, which are so delicious. I had it outside feeling nice breeze from the ocean, but this hotel isn't located near the beach, 10-minute-walk from the beach. Having said that, the one being very near the beach is sort of noisy at night and mid-night, so I prefer its location and had a sound sleep. Need to improve maintenance. Towels are worn thin. Windows do not close properly. Doors are rubbing on the floor. Stinginess will kill this endeavor. The Deluxe Double room I stayed in was superb. Cleanliness OK. Breakfast excellent. 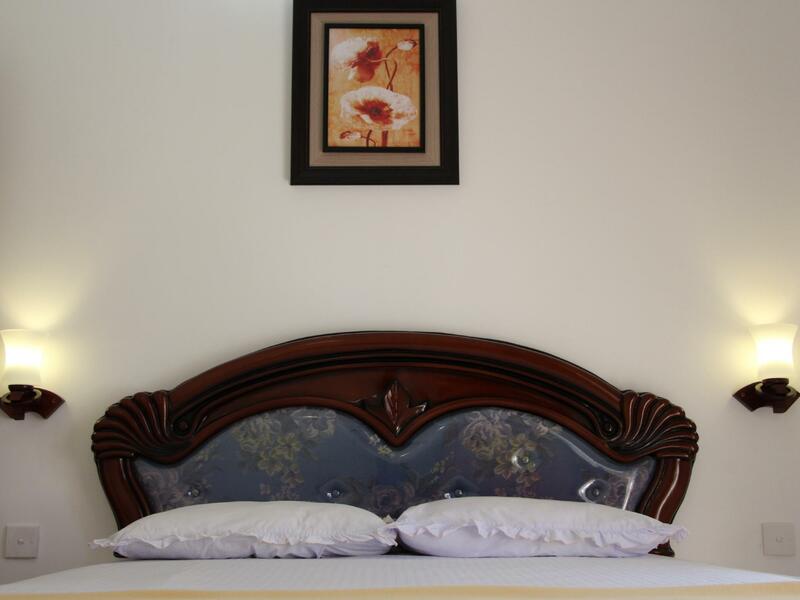 The location of the hotel is walking distance to all the restaurants and amenities. 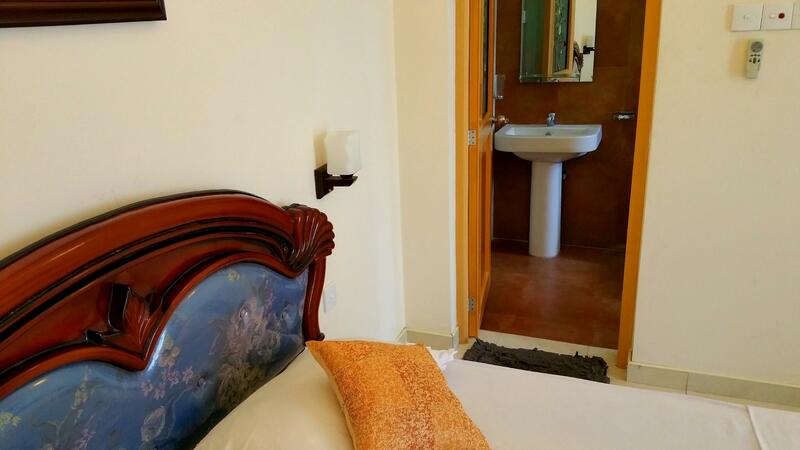 It is nice and quiet area and the rooms do get cleaned daily. The owner is available at all times and extremely helpful. Really lovely service. Clean basic rooms. Small feel to it. Owners were very helpful. Nice breakfast. Pool small but ok. Quiet location and comfy beds. Not the ritz but nice for 2 nights. Near Negombo beach . Clean, helpful staff. Big clean rooms. Good value for money . The owners were helpful and very friendly. Breakfast was superb. This was one of my best hotel/inn experiences in Sri Lanka. Simply perfect from the big breakfasts to the cleanliness of the room. But for us the best thing was the smile of the owner and the great professionality of all the other people of the staff.